I've had this idea bubbling away for quite a while, and although I made a vague start a few weeks ago, it wasn't until last night that I finally got things moving in a decent direction. 1. Save the image, open it up in a decent image viewer, then choose Print. 2. Fold down, along the horizontal center, with the edges facing outwards. 3. Fold across the three vertical lines in both directions, so they fold back and forth freely. 4. Slice through the thick black bar in the middle between it's two sides. You're not slicing the whole length of the paper, just between the thick area. You don't need to cut out the black bar, just ensure there's a slice running the entire length of it. 5. 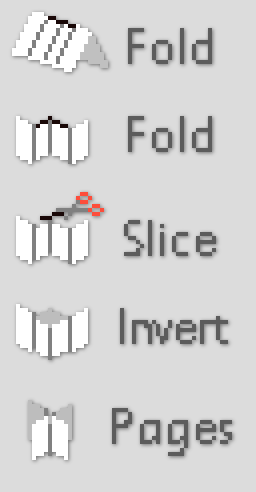 Invert the vertical fold by pulling out the middle, and then folding it back in on itself. There should be 8 pages in a little handy booklet. You can fold the pages back over themselves to allow easy access, and bring any of the 8 pages towards the front/back of the booklet, so you can easily hold it in one hand and scribble with the other. These are simple puzzle games, and shouldn't be considered point-based or anything like that. 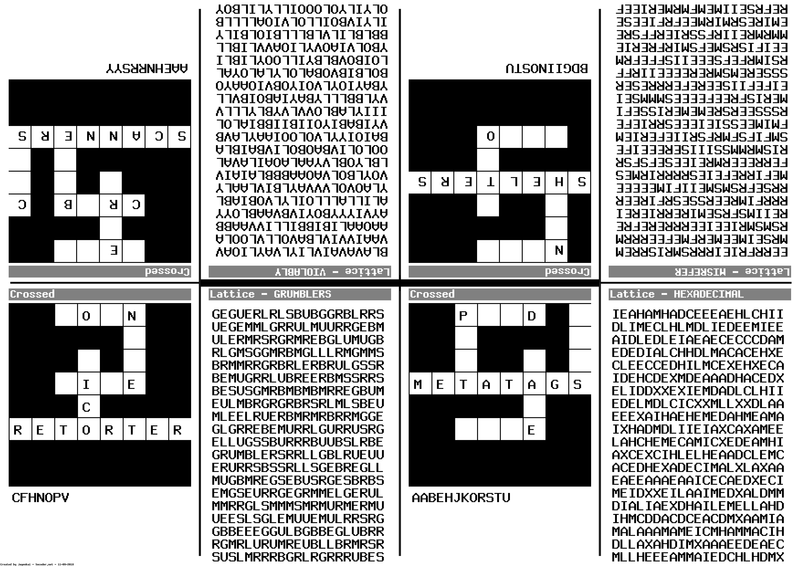 Simply print out the puzzles, then give them a go when you're bored. For the past couple of months, I've been trying to decide the best way to do these in a game, but with touchscreens, gamepads and other input methods, it all gets a little difficult. Some puzzles need scribbled answers, others need keyboard input, and I'm sure that as I continue to come up with puzzles, even more obscure methods of input will also be required. In the end, I realised that all of these would actually work *better* if they were in a printed physical format. I intend to build a whole bunch of randomly generated puzzles, and other such "pen and paper" games. 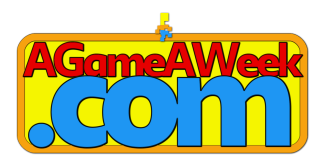 A web based generator is being created, and you'll be able to click about the site to select your favourite puzzle types, or let it create pages entirely at random. 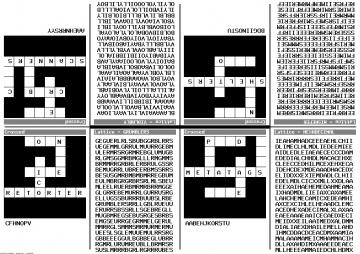 You'll then be able to bookmark the url, and heading back each day will give you a randomly generated set of puzzles, laid out in your chosen order. I'm not sure who would or wouldn't enjoy having such a thing, but it's certainly made for an interesting web project, and it's given me yet another thing to focus on! Let me know if you like or hate this idea, and if you've any suggestions for games that might fit then be sure to post those, too.